The teams at Global’s Make Some Noise and Heart FM are kindly organising a charity abseil for the benefit of Young Bristol, Young Gloucestershire and STEP. 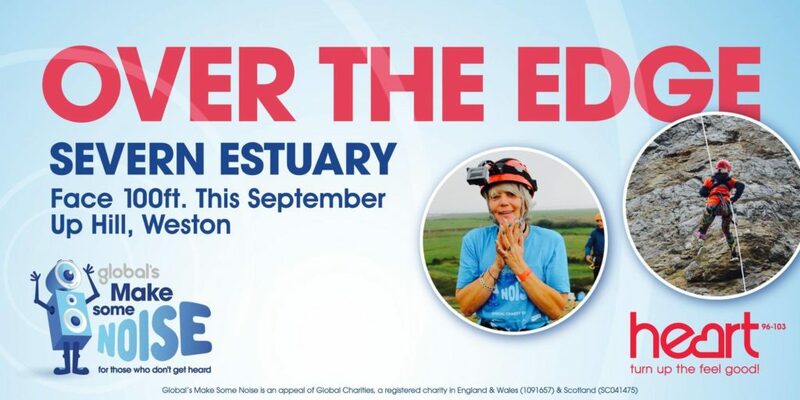 Later this month the fundraisers will be heading out to the Severn Estuary to abseil 140ft! We are so grateful to the fabulous people signing up to support the event – if you aren’t feeling that brave you can help by sponsoring them yourself! Young Bristol is a youth-driven charity that works to offer a choice of opportunities and experiences for all young people. Easter Holiday Outdoor Activities are now live! © Young Bristol 2016. The Station, Silver Street, Bristol, BS1 2AG. Registered Charity no. 301681 Company No. 363502.